Foreigner Warships entering the Northern Sea Route will have to notify Russia within 45 days. Russia passed new order to protects the Northern Sea Route. 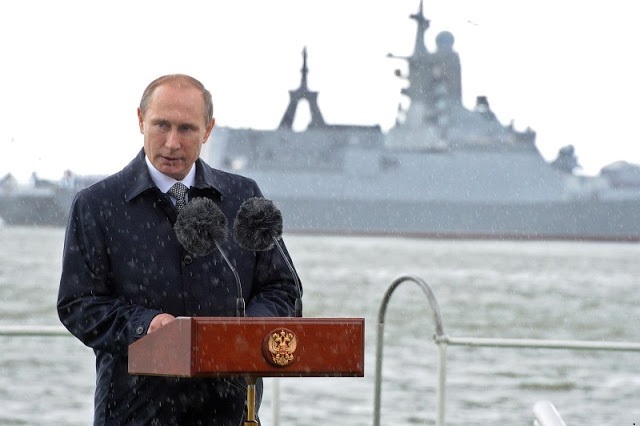 Kremlin has developed rules for safe and secure passage of all foreign warships. In (the document is at the disposal of Izvestia). US representatives have repeatedly stated that they are also interested in the NSR and Russia "has no right to dictate its terms there." However, with the adoption of new rules, the situation will change. 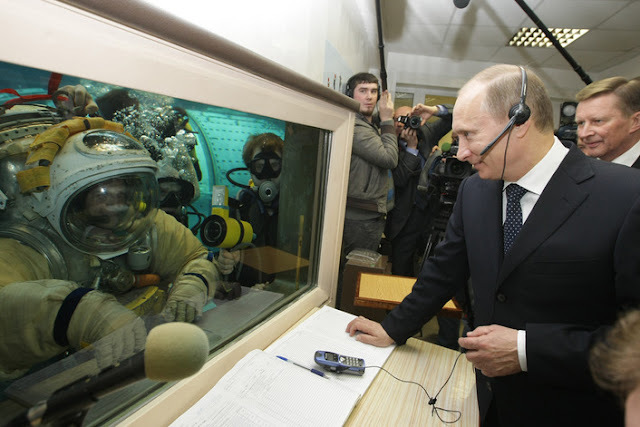 Warships and warships now have to notify Russia of their plans for 45 days and be sure to take on board Russian pilots. The passage may be denied, and in the case of an unauthorized movement along the NSR, experts say, Russia will be able to apply emergency measures up to the arrest or destruction of the vessel. The rules were developed because of the "intensification in the Arctic zone of naval activities of various states." They are aimed at maintaining control over the environment and merchant shipping. Literally on Wednesday, the commander of the European command of the US Armed Forces, General Curtis Scaparotti, said during the hearings in the Senate that "the United States is ready to hold back Russia in the Arctic," since they have "resource and commercial interest" in the NSR. The United States and other NATO countries have shown particular interest in the Russian North for a long time and are not limited to words. Last year, the Ron French naval support ship passed the Northern Sea Route without warning. The commander of the ship then stated that the purpose of the march was "the development of our knowledge of the region." Russian battle ships Alexander Otrakovsky,Kondopoga and icebreaker "Ilya Muromets" sailing on through the arctic areas, which was appeared as a large landing. 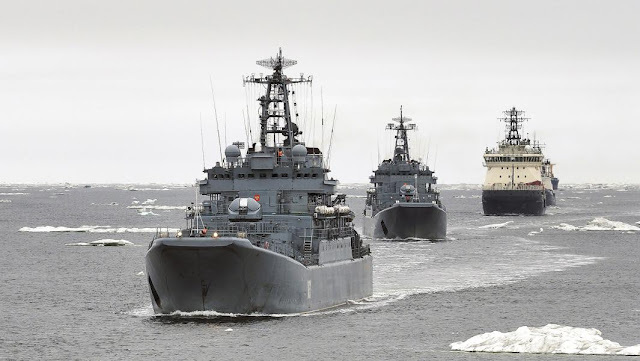 Ships with cruise missiles on board, passing along the Northern Sea Route, pose a serious threat to Russia, since they are holding virtually all military and political centers of the country at gunpoint. In the current international situation, control over the NSR of Russia is simply necessary, Alexey Chep, deputy chairman of the State Duma’s international affairs committee, told Izvestia. According to the President of the Center for Global Interests in Washington, Nikolai Zlobin, the new rules for the passage of the NSR are a continuation of a consistent policy. “Russia has long met dissatisfaction on the part of the United States, Canada, and a number of European countries, even China claims access to the North,” explained the expert. As noted by military expert Vladislav Shurygin, “it was necessary yesterday to prescribe the rules for the passage of the NSR for foreign warships.” - NATO and the United States may well try to create another hotbed of tension on our borders. And the passage of the French warship proves it, - said the expert. - Ships will stop by, spend some time and leave. You will need to monitor them and take on accompaniment. According to the new rules, a foreign state will have to send a notice of the march of its military vessels on the northern route 45 days before it begins. The document requires you to specify the name of warships and ships, the purpose, route and timing of navigation. And also to list the main parameters - displacement, length, width, draft and characteristics of the power plant. Finally, report the rank and captain of the ship. 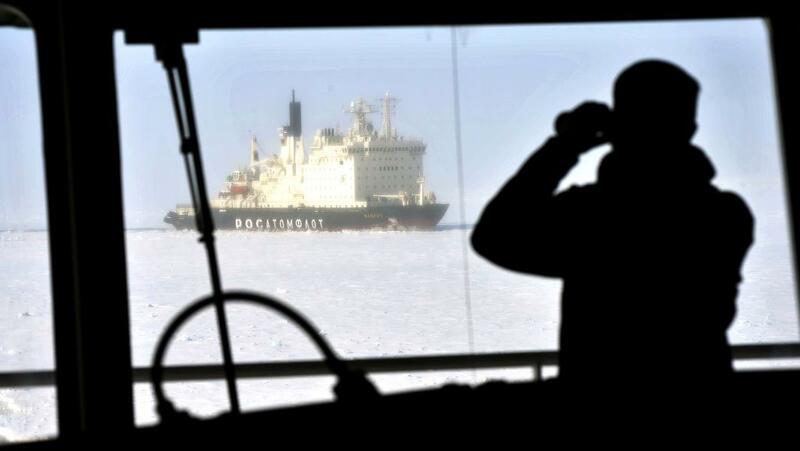 A naval officer watch Atomic icebreaker "Vaigach" on the way of the western sector of the Arctic - from Murmansk on the Kola Peninsula to the city of Dudinka on the Taimyr Peninsula. Also, there will be a requirement to take on board Russian pilots. In the event of a complication of the ice situation, it is Russian icebreakers who will have to provide wiring to foreign vessels. Ships must comply with the requirements of protecting the marine environment from pollution. In the event of an emergency or worsening of the ice situation, commanders should send a message to the nearest Russian port or naval base about what is happening. “If the Russian side comes to the conclusion that the vessel is old, has a skin unsuitable for ice seas, or an unprepared crew, its passage may be denied,” Kamil Bekyashev, vice president of the Russian Maritime Law Association, told Izvestia. If the ship or vessel follows the Northern Sea Route without a permit, the Russian side can take compulsory measures to stop it, even emergency measures — arrest or destroy the offending vessel, the professor believes. “International maritime and national legislation allows this to be done, as the vessel threatens navigation, ecology and human life,” explained Kamil Bekyashev. Representatives of the United States have repeatedly stated in spite of Russia that the Northern Sea Route should be a transport artery, open to the entire world community. The last time in 2018 was officially announced by the commander of the US Coast Guard, Admiral Paul Zukunft. Indeed, the NSR is not only within the territorial waters of Russia, however, our country has the legal right to regulate navigation along the entire route, Kamil Bekyashev noted. “This is a historically established unified transport communication, which is considered to be our national treasure,” says Camille Byakishev. - It is written in the law "On the inland waters and the territorial sea and the adjacent zone of the Russian Federation." Route goes beyond the territorial waters or not - does not matter. The 1982 UN Convention on the Law of the Sea contains Article 234, which states that in marine areas covered by ice, coastal countries may impose stricter standards for the passage of ships to avoid pollution. The United States is challenging the rights of a coastal country to establish ship wire rules in northern latitudes not only in Russia. They do not recognize the right of Canada to manage the Arctic routes. The US claims against the Northern Sea Route are rooted in the Cold War - back in 1964, Washington and Moscow exchanged notes of protest because of an attempt by American ships to proceed unauthorized along the coast of the USSR. Rules for the passage of warships are needed, noted military historian Dmitry Boltenkov. “The United States is characterized by an independent interpretation of the laws,” Dmitry Boltenkov told Izvestia. - So, on February 11, 1992, the SSN-689 Baton Rouge submarine in the already Russian waters collided with the Kostroma B-276 boat. And from the point of view of the United States, at the time of the clash, Baton Rouge was in international waters. The fact that she was still conducting reconnaissance at the same time, remained behind the scenes. The United States is trying to escalate tension around the Northern Sea Route, including for economic reasons, said Franz Klintsevich, a member of the Federation Council’s Committee on Defense and Security. He noted that the Northern Sea Route is shorter and more profitable than other routes for the delivery of goods between Asia and Europe. Potentially, according to some estimates, up to half of Eurasian cargoes can be transported via the northern route. This is a trade turnover of hundreds of billions of dollars. The United States as a major trading power does not benefit from the development of the Russian route. Nikolai Zlobin believes that the strengthening of Russia's control over the northern routes can also cause a response from Norway and Canada. But if the United States increases its military presence in the North, it will contradict several international treaties at once - on the demilitarization of the Arctic and armaments in Europe, says Nikolai Zlobin. And although neither Russia nor the countries of the West have ratified this treaty, so far it has been generally respected.